SOS have been regular supporters of hospices and respite centres across the UK. 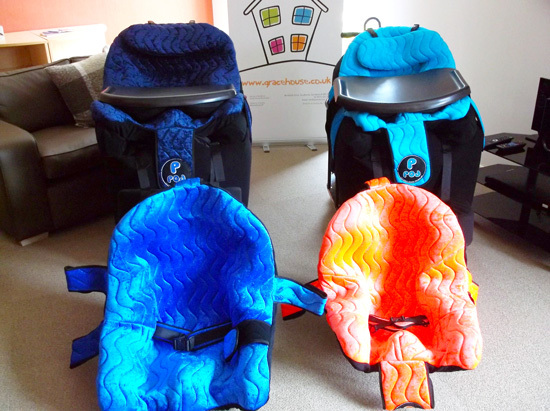 We work closely with Rainbows Childrens Hospice and the Newlife Just Can’t Wait Scheme to provide support to some of the most vulnerable children with complex postural needs. When Grace House ordered their P Pods, they did not expect to receive an additional mobile base and activity frame. We donated the additional equipment to help the regular visitors of Grace House get the most out of the new P Pods. 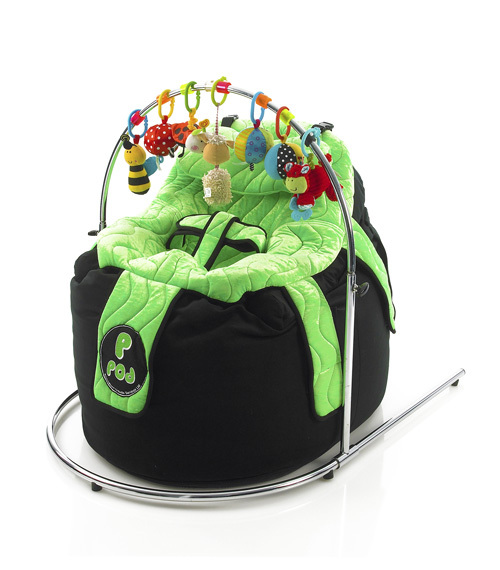 The P Pod activity frame is designed for use during play therapy and allows children to participate in stimulating play whilst using their P Pod. 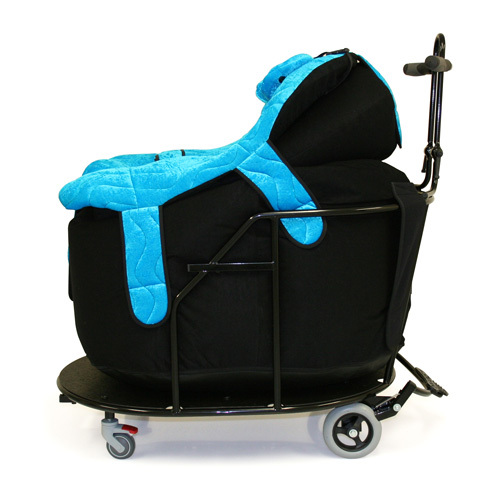 The mobile base helps make P Pod even more practical by allowing it to be moved easily. It seems a shame to disturb a client when carers or parents want to move them to another room, clients can remain seated whilst the mobile base is moved around Grace House. Grace House is a purpose built respite centre for children and young people with complex physical disabilities. Fund raising to create Grace House began back in 2003. Over the 10 years that followed, Grace House developed into a fantastic purpose built home to meet the needs of children with complex physical disabilities. Children and young people can stay overnight on a regular basis, meet their friends, do fun and exciting activities and take advantage of the adapted and accessible facilities on site. Specialised Orthotic Services are frequent supporters of local hospices and charities if you would like to know more about our work or would like more information about our products please contact us or explore the our products section of our website.